I really loved our wedding favors that we made, so I wanted to share them with you! They were super affordable and I thought they looked adorable on the tables. We were able to buy our popcorn and cotton candy in bulk bundles, which helped us save a lot of money on them! (You can find bulk online!) 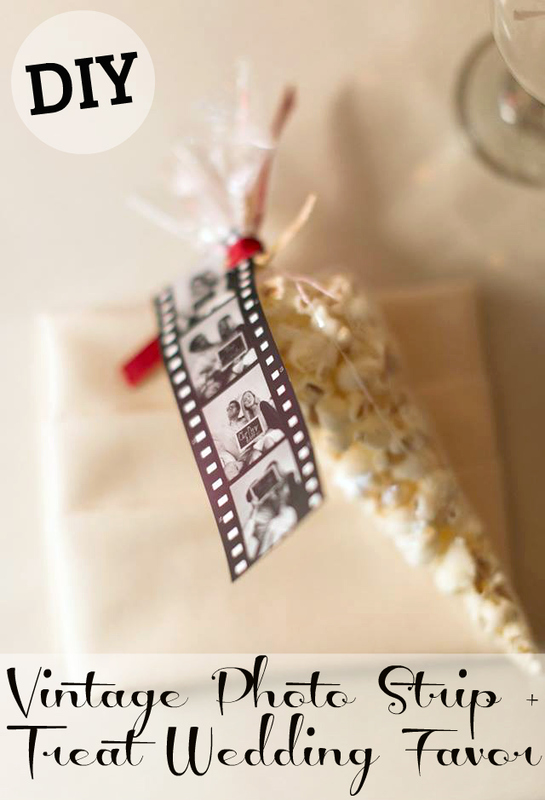 It's the perfect favor for a vintage inspired or a theatre inspired wedding or party favor. I hope you like them! *We alternated our treats on the tables between popcorn and cotton candy, so half of our guests got popcorn and half got cotton candy. I'm not 100% sure where Fred found the template we used. It might have been on Photoshop. There are free templates online for it, here is one! *We decided to write a thank you to our guests on mini chalkboards and hold them in each different shot. We made our own mini photo shoot in Fred's old living room on a chair. We had 4 photos and the 4 chalkboards read "Thank You" "For Celebrating" "Our Day With Us" "The Labs 2016". I thought it was a nice, personal touch to the favors! *You can do it at Staples or another office supply type store, or you can do it yourself if you have the printer and the paper. You can really use as nice of paper as you want to. We used plain paper to save money and printed them out ourselves. *We alternated ribbon colors on our bags. 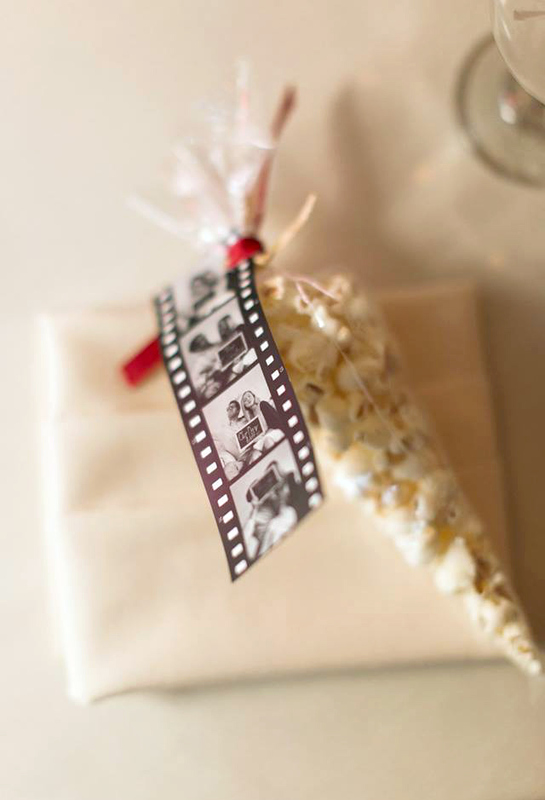 We used a deep red and a shimmery gold (2 of our wedding colors) We used red for popcorn and gold for cotton candy and it helped to differentiate the treats. & That's it! Your favors are now complete!